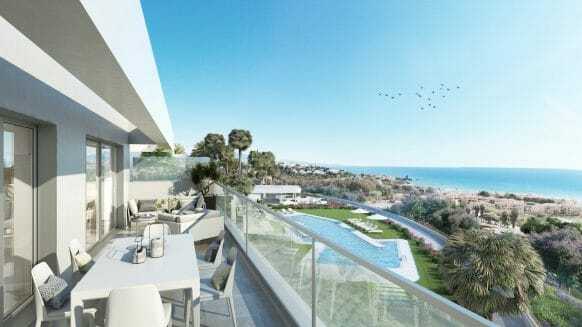 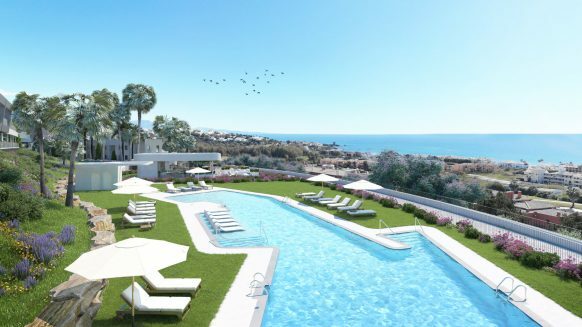 Cortijo del Mar Resort is a luxurious residential resort consisting of apartments, duplex penthouses and townhouses in an exclusive area on the Costa del Sol. 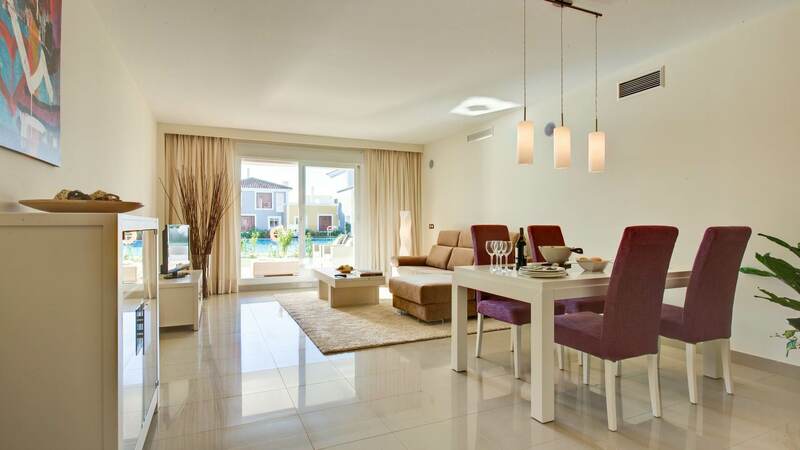 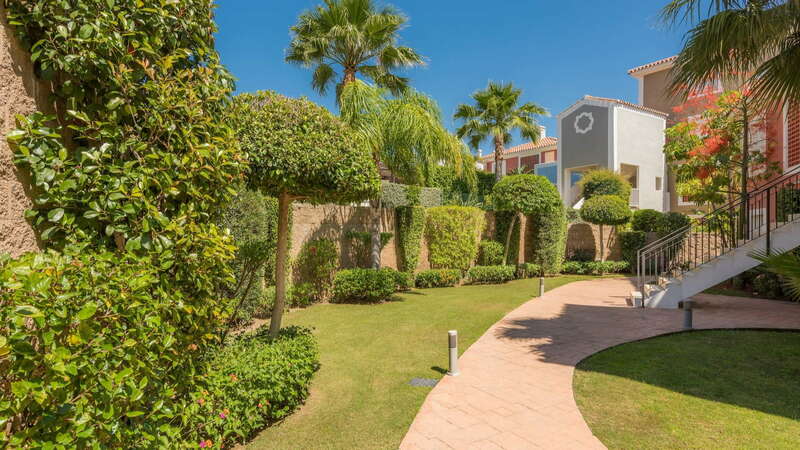 Surrounded by lavish golf courses, this elegantly styled and finished complex is situated between Marbella and Estepona. 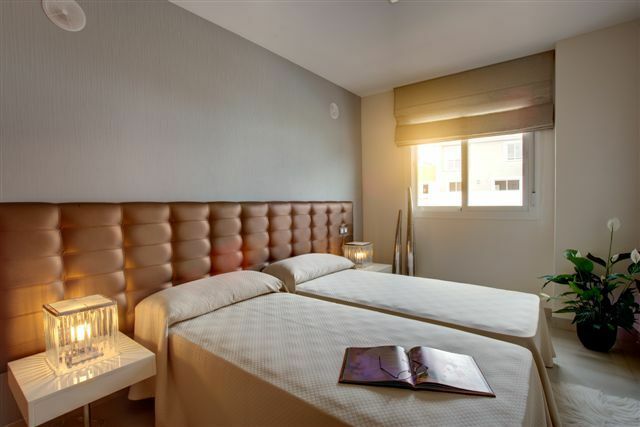 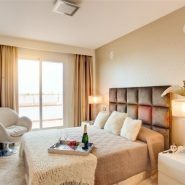 It is located close to shops, restaurants, bars, the beach and is just a short drive from the world famous holiday destinations of Marbella and Puerto Banús. 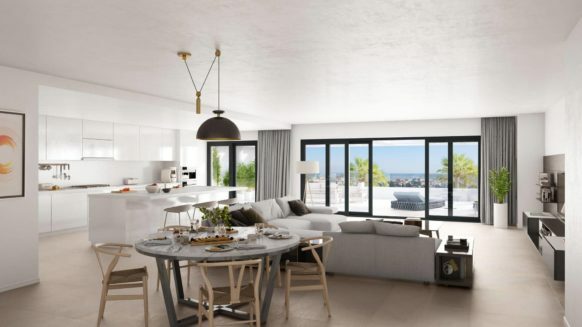 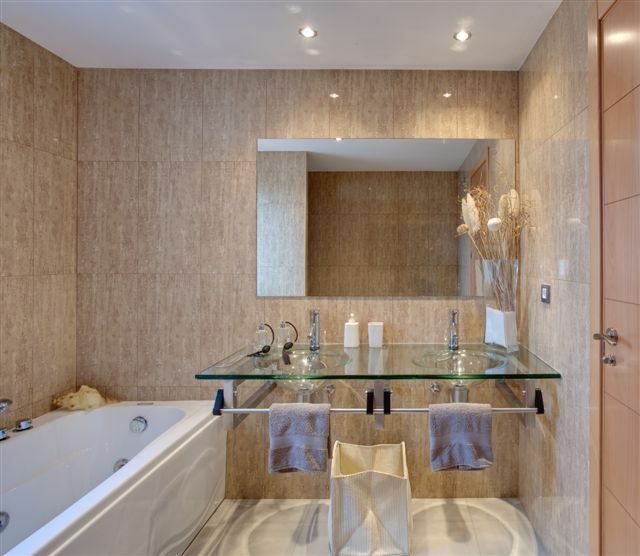 This good sized two bedroom apartment incorporates a living/dining area, a kitchen and utility area, bedrooms with en-suite bathrooms and built-in wardrobes, plus a terrace area large enough for an outside seating and eating area. 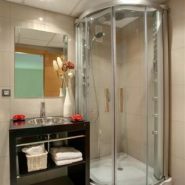 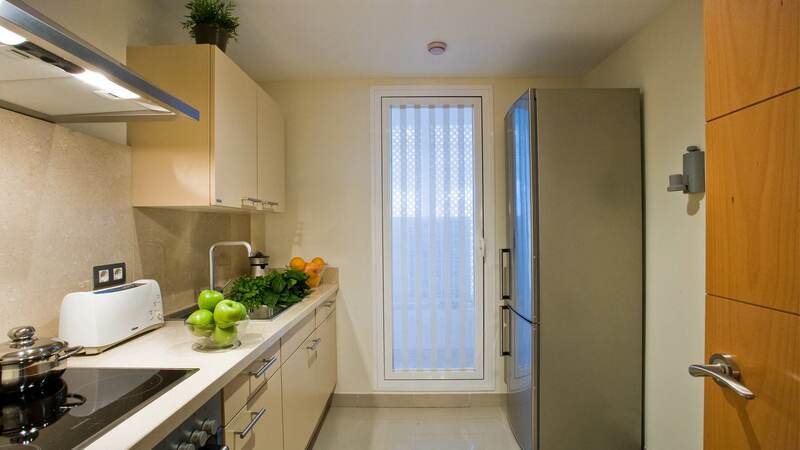 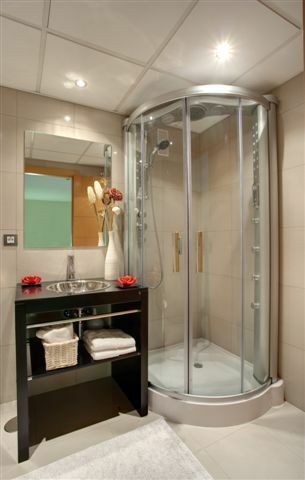 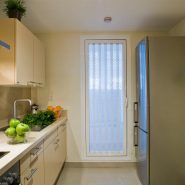 This type of apartment offers ground floor living with the size benefits of one of the larger properties in the complex but without stairs thus improving it’s accessibility. 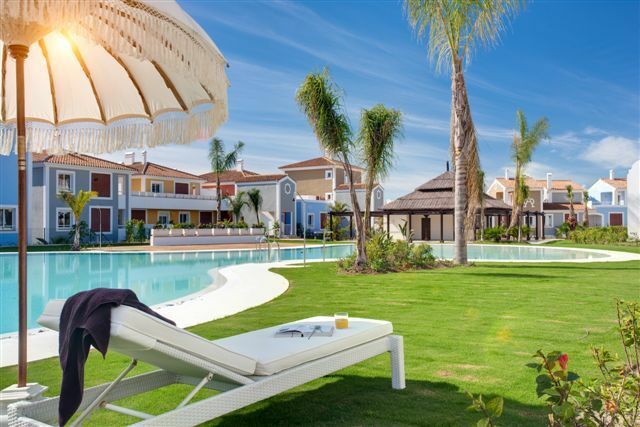 Owners and visitors can enjoy the beautiful Spanish weather in the impressive swimming pools in landscaped gardens, with comfortable sunbeds and a tropical style beach bar. 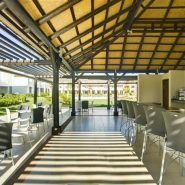 Cortijo del Mar has several luxury spas and hotels on its doorstep, such as the 5-star Kempinski and Villa Padierna resorts. 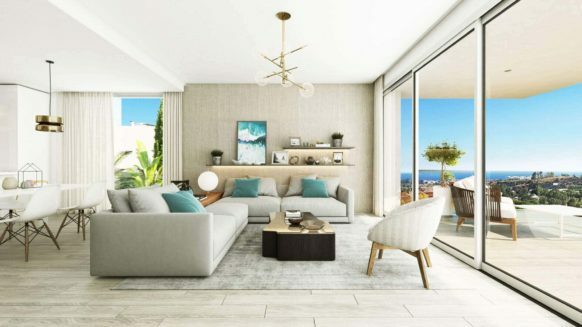 The shopping area of Laguna Village, with its elegant shops, restaurants, cafés, yoga centre and luxurious Puro Beach Club, is also a few minutes away. 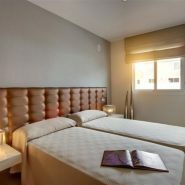 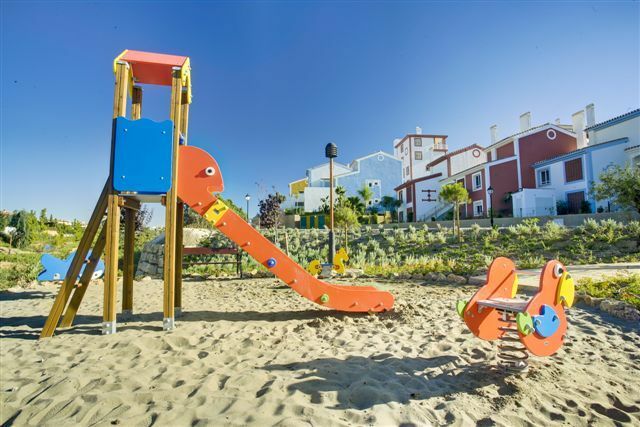 The urbanisation is only a 40-minute drive to Málaga airport and one hour’s drive from the culture and big city buzz of Málaga city centre. 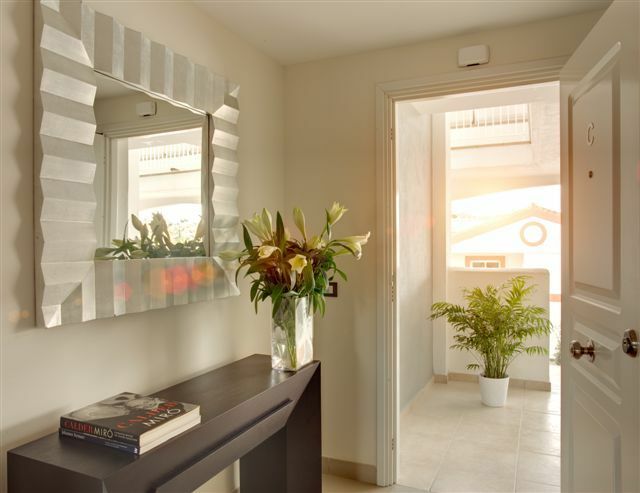 Built in a traditional Andalucían style the resort offers the ultimate in modern living. 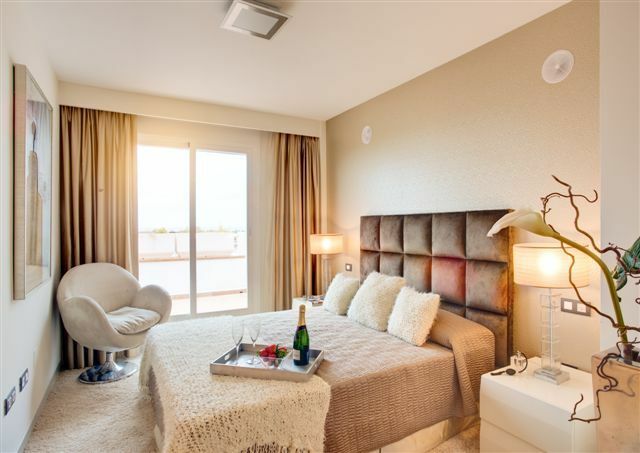 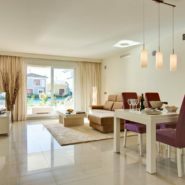 All homes are equipped with intelligent domotic systems, that includes climate control, automatic shutters, multi-room music systems, video control and much more. 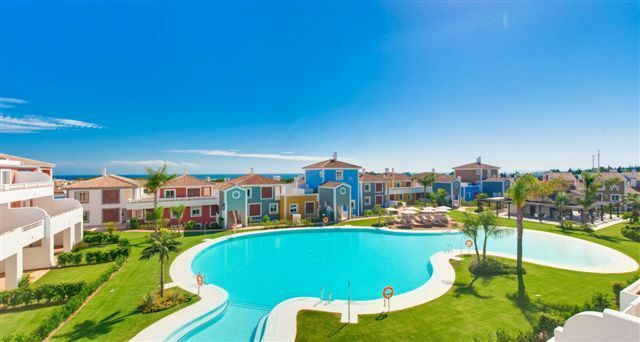 A security guard is 24 hours on the complex. 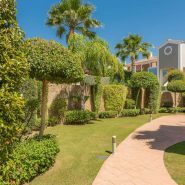 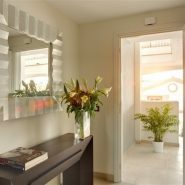 Cortijo del Mar is a gated community with 24-hour security and video entry system is set in stunning tropical gardens. 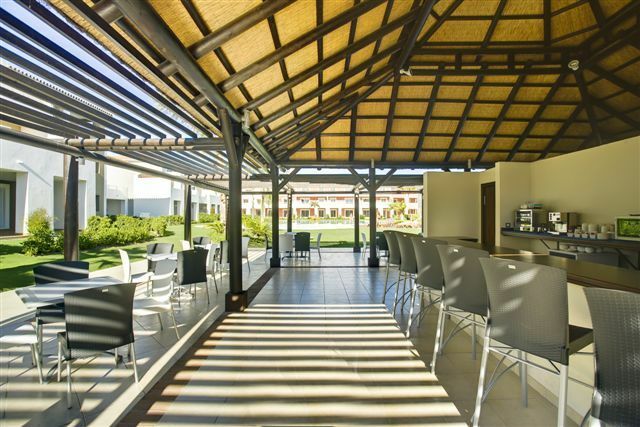 The impressive lagoon style swimming pool is surrounded by wooden decking with comfortable sunbeds and it’s very own serviced chiringuito bar with shaded lounge area. 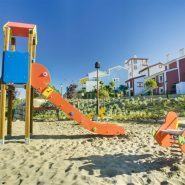 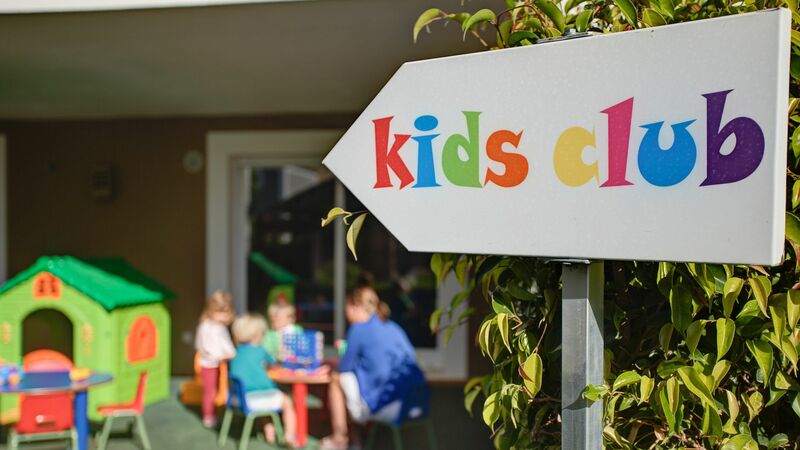 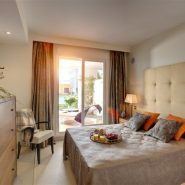 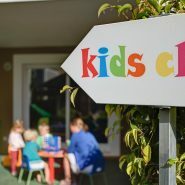 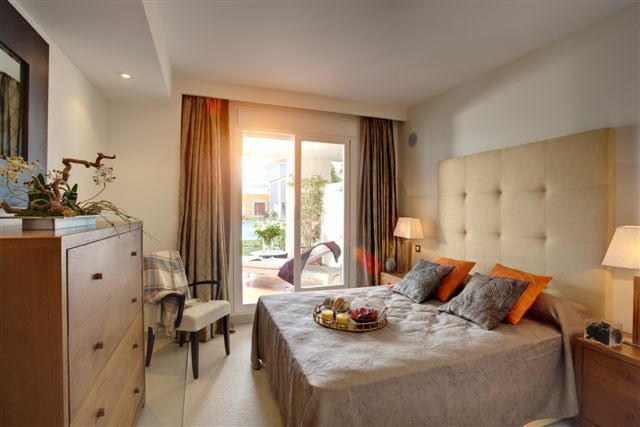 Cortijo del Mar Resort offers the perfect location, whether you are looking for a holiday home, rental investment, retirement home or permanent residence, combining safe and secure family life with town living close by.